Elevate your brand presence and be seen by more local buyers. Get all leads delivered directly to your inbox. 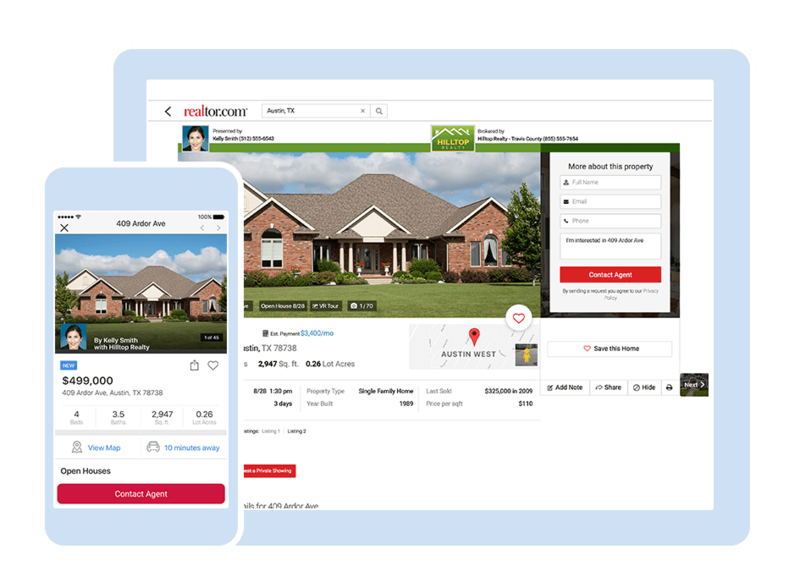 AdvantageSM Pro enables you to prominently brand yourself on your listings for both the local search results pages as well as on your own listing detail pages on realtor.com®. Start building a strong online presence in your local market. AdvantageSM Pro takes the guesswork out of online listings performance. 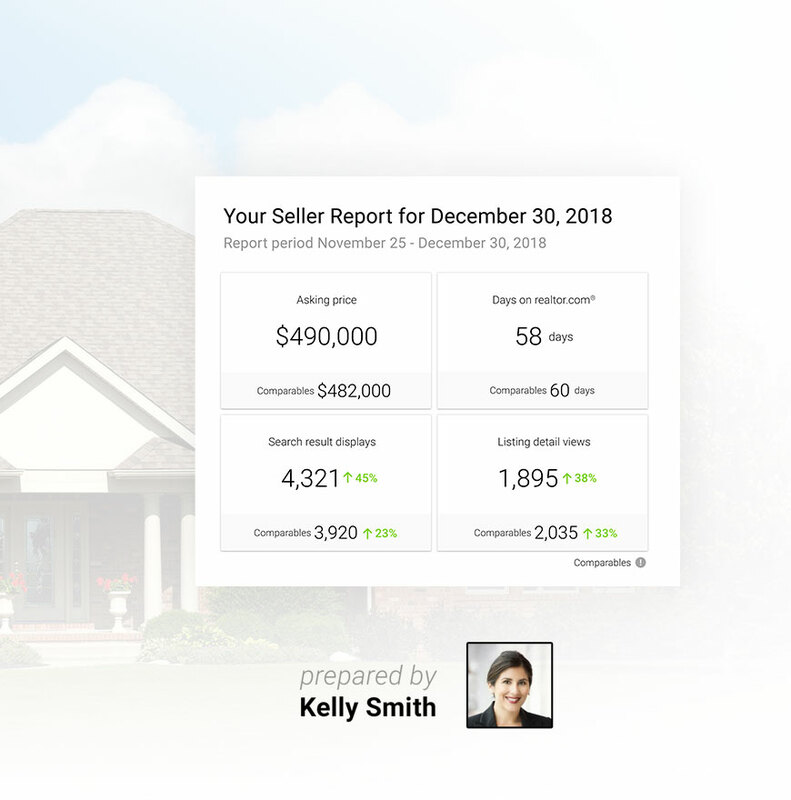 Accessed through your dashboard, our reporting informs you about all of your listing activity and lead details on realtor.com®, along with deep insights about the performance of your professional profile. AdvantageSM Pro doesn’t stop at listing performance reporting. 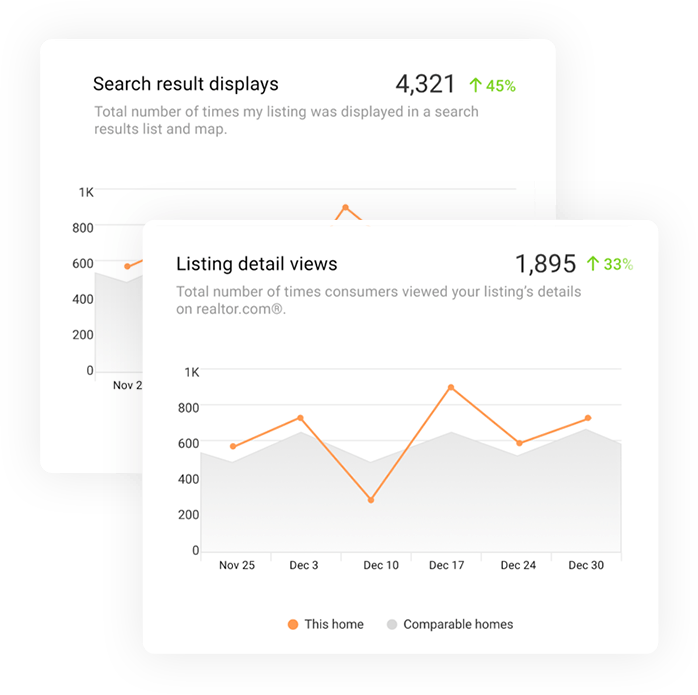 It also takes care of your sellers with detailed reports about their home’s views, traffic and inquiries submitted. 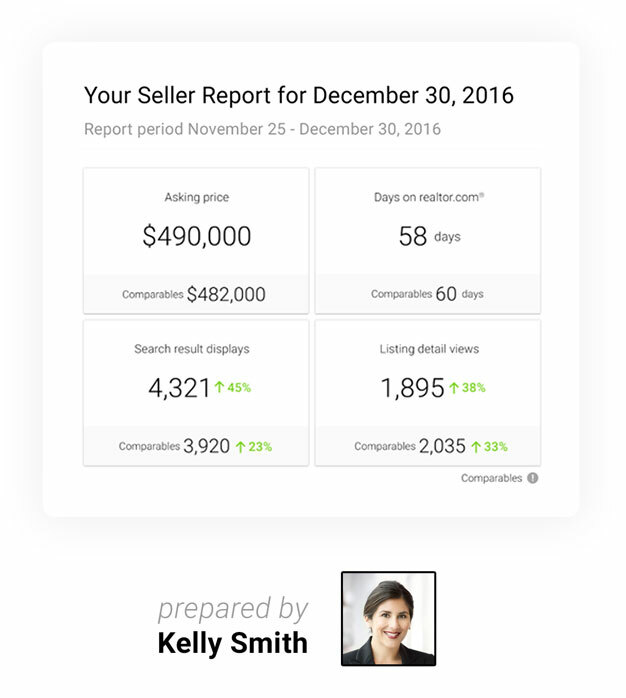 Seller reports help keep you engaged with clients throughout the process. 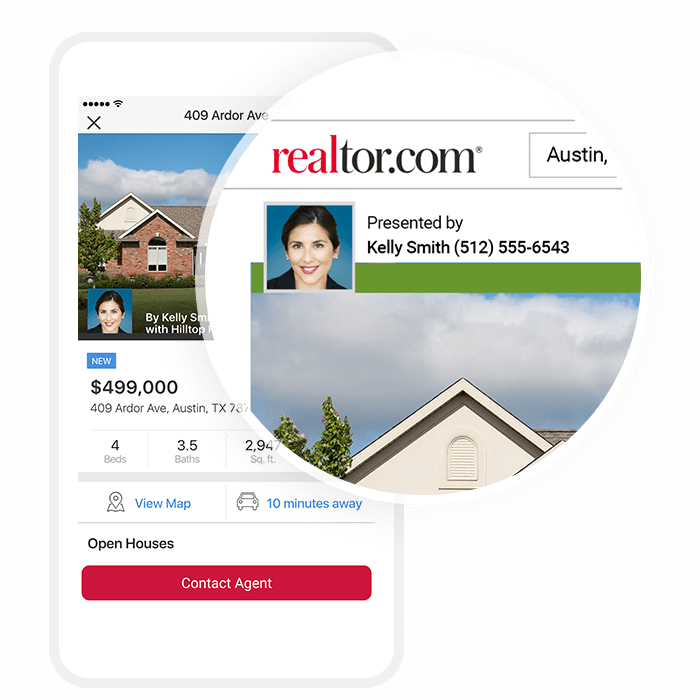 Ready to give your listings and brand the local advantage they need?